Naturally this affects the landscape. “Southern landscapes can be farmed practically down to the sea, while northern landscapes generally end with a cliff-line or a rugged raised beach,” he says. 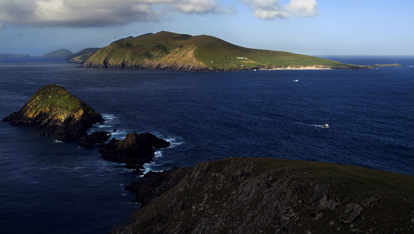 That’s not to say that the sea is any better behaved in the south – no one could look out towards the Blasket Islands in County Kerry in the teeth of a sou' westerly [wind] and think that. But this geological legacy lends surprising variety to the types of walking terrain – and everyone has their favourite. For those who may not know it so well, the north Antrim coast includes one of Ireland’s most famous sights, the Giant’s Causeway, all geometric columns of basalt and crashing waves. And yet, just 20-odd miles to the west is Benone Strand, “seven miles of golden sands with n’er a tangle of seaweed, a slice of shingle or a toe-stubbing rock in sight,” according to historian Turtle Bunbury. “Benone is truly a spectacular setting, as good a beach as I’ve seen.” It’s sheltered by sand dunes and backed by the brooding bulk of Binevenagh to the south – and is often just about deserted. 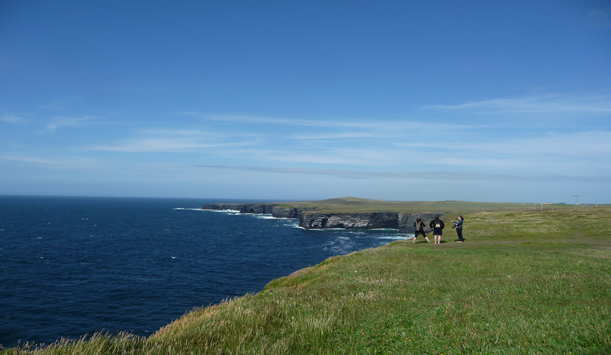 It is also home to the Sheep’s Head peninsula, and a walking trail of some 88 kilometres (55 miles). There are many opportunities to shorten the trail for the less fit, but it is “superb – the essence of wild West Cork, wonderful walking and breathtaking scenery without crowds,” according to TripAdvisor reviewer, Odysseus53 from London. My perfect coastal walk loops out and back from the village of Roundstone, along the soft white sand of Gurteen, across the headland to Dog’s Bay and back to Vaughan’s for a bowl of chowder before one final saunter down the hill to the harbour. It’s O’Dowd’s for a pint. For my money, there’s not a place to beat it.